Now that many of us have Warren's, Markey's, Clark's and Moulton's office numbers saved to our contacts, some of us are asking how can we have more influence than simply voicing opposition to each new Republican bill with our (Democratic) MoC. Dr. Daniel Pomeroy will be speaking about how Congress works and will answer our questions about how to best influence our Members of Congress in his presentation,"Impacting Congress Beyond Phone Calls and Emails: Engaging on Policy". He will talk about the process of crafting legislation and how we might more effectively impact what goes into a bill before it reaches the floor for a vote and how the rules of the Senate can impact the bill's success or failure. 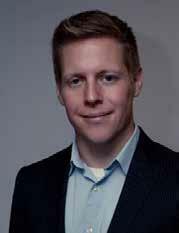 Dan is the program manager of MIT’s International Policy Lab, and was a Science and Technology Policy fellow in Senator Ed Markey’s office. This is an especially important time for us to understand the normal and arcane rules of the Senate as they work on their own version of the healthcare reform bill and how it gets reconciled with the House version. Please join us at the Cary Library, this Thursday evening at 7:00PM to hear his talk and to ask him about the process of crafting successful legislation. The presentation will be held in the large classroom there. 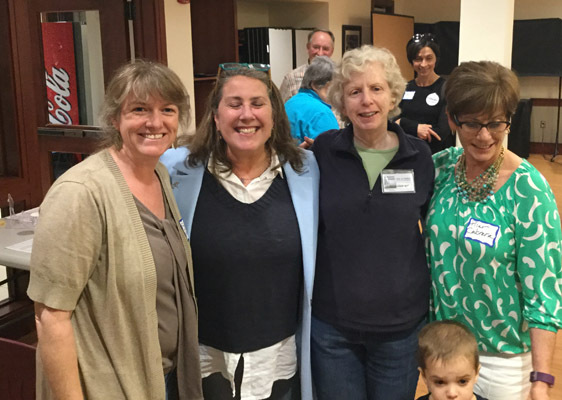 Approximately sixty MI members and other residents met with all three Democratic candidates for the 4th Middlesex District Senate seat last Thursday, at MI's Candidates Night. 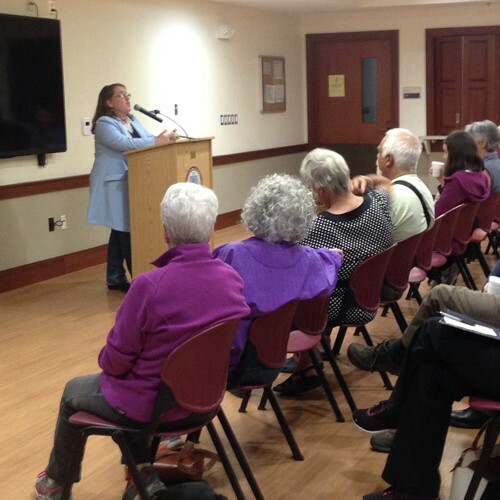 Cindy Friedman, Mary Ann Stewart and Sean Garballey each spoke and answered questions from the audience on subjects including carbon pricing legislation, criminal justice reform and healthcare in Massachusetts. If you were unable to make the event, we have put the video of the candidates remarks and Q & A sessions on our website. Feel free to check it out before casting your vote. The primary is to be held June 27th, and the general election, against Rainbow/Green candidate Ian Jackson, is on July 30th. If you are going to be out of town on June 27th, be sure to apply for your absentee ballot now. Here's a link to the form. 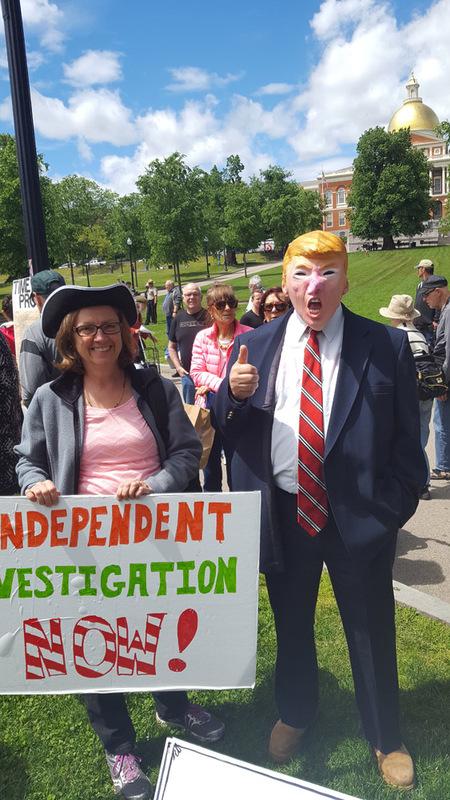 Minuteman Indivisible joined the hundreds of others demanding an independent investigation into the the Russian interference in the US elections and ties to the Trump administration. To read more about the event and the excellent speakers, go to https://www.facebook.com/MarchforTruthBoston/. Come meet Regina Bateson, candidate for the CA 4th district. She's currently a professor at MIT, returning to CA to run against Tom McClintock. We'll discuss engagement with her campaign for the 2018 election. We will also provide updates on the ongoing races: GA 6th, SC 5th, and UT 3rd. We'll also start the discussion of ideas for activities after the June special elections. All MI members are welcome. Remember the financial crisis of 2008? Mortgage defaults, banks collapsing, the entire overnight credit market seizing up and threatening the global economic system - that one? From that little disaster the Dodd-Frank legislation and the Consumer Financial Protection Bureau were born, in attempt to reign in some of the worse practices among banks and Wall Street and protect consumers from predatory lending and bailouts of "too big to fail" banks. The bureau has gone after abusive practices by debt collectors and credit bureaus, as well as predatory lending. The CFPB for instance, led the investigation into the Wells Fargo account fraud scandal and the credit agencies misrepresenting their sale of your credit scores. Stop public access to the CFPB’s database of more than 1.1 million consumer complaints. Warren, who helped create the CFPB, called the CHOICE Act “an immoral choice” that is “an insult to working families.” in her testimony to the house. For the nation's financial security, this legislation needs to be blocked. Please call Warren's office to thank her for her never-ending fight for financial protections. Please also call Clark's and Moulton's offices asking for their strongest voices in opposition to this legislation. Tweet about it, FB post about it, try to drum up opposition in districts with MoC's on the fence. The Senate will soon vote on S.951, the Regulatory Accountability Act of 2017 (RAA). Under the guise of a “harmless” procedural change, the RAA changes long-standing rules on how federal agencies protect everything from food safety to toxic chemicals to equipment failure at nuclear power plants. This bill would prioritize corporate profits over public protections and paralyze the regulatory process, making it harder for the government to keep American consumers and workers safe. Call Senators Warren and Markey and thank them for resisting this bill and then call or email friends in red districts and let them know about it. For more information on the bill, take a look at the Indivisible Guide's writeup on it and this Reuter's news piece. We still want an Independent Commission! Keep Calling! Please call Senators Warren and Markey and say “Thank you for supporting our democracy by supporting S.27. Is there anything else that the Senator is doing to make this happen”? Call Representative Clark and say “Thank you for supporting H.R. 356 and for signing the discharge petition. 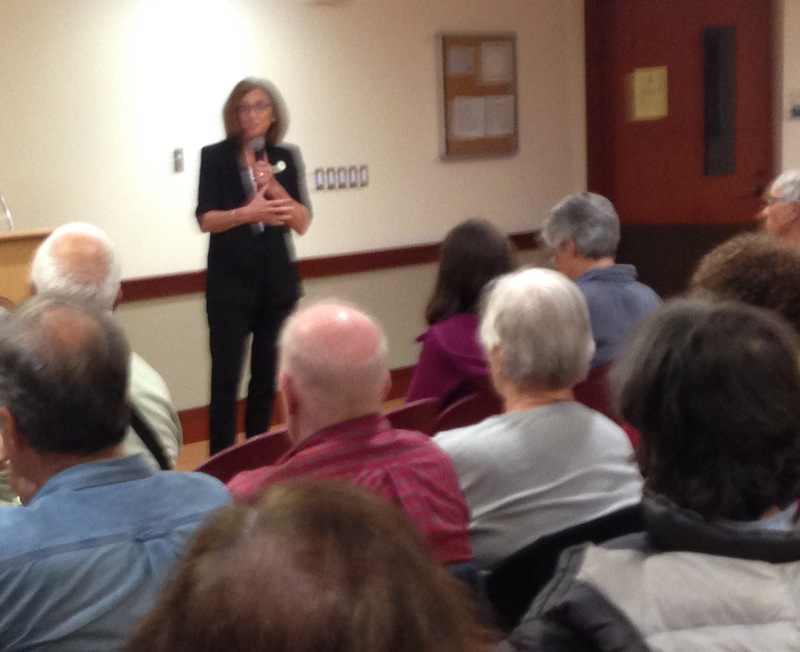 What else is Representative Clark doing to keep pressure on for an independent investigation?" Finally, call Governor Baker and say "I saw that Governor Baker made a public statement calling for an independent investigation on Russia ties, but what else is he doing to make this happen?”. Keep calling! Mad that Trump has pulled out of the Paris Accord? Fight back by supporting carbon pricing legislation in Massachusetts! A key committee hearing is coming up June 20, and we need supporters to call or email their state reps. If you have a few minutes to help, sign up on the Climate and Environment team's page on the MI website to join our Massachusetts carbon pricing campaign. There are currently bills pending in the Massachusetts legislature that would place a price on carbon, ending free carbon pollution. Archie Parnell is running for the SC 5th seat left open by the appointment of Mick Mulvaney as Budget Director. Jon Ossoff is running for the GA 6th seat left open by the appointment of Tom Price as the HHS Secretary. Let's regain two house seats by supporting these two candidates. Ossoff is in a dead heat and Parnell is gaining on his opponent. See the MI elections page for information on texting, post carding, and phonebanking for the candidates. Rumor has it that the Senate Republicans have been meeting (over the recess and since) to discuss Trumpcare. Check out the WSJ article which identifies some of the key changes they hope to make and the joint economic committee of the senate estimates the "Next Year Under the Republican Health Care Plan". The document reports impact estimates in dollars by state! Follow @ASlavitt on Twitter to keep on top of the legislation. Please continue to call your MoC's urging their opposition. Please also call your friends with Republican Senators and ask them to call as well. Ted Cruz in Texas, Jeff Flake in Arizona and Dean Heller in Nevada are especially good targets as they are all up for reelection in 2018. Warren and Markey: Thank them for resisting the RAA (S.951), demanding independent commission (S.27) , opposing the Financial CHOICE act (especially Warren), and opposing to any reduction in healthcare benefits through a senate version of AHCA. Governor Charlie Baker: Thank for Climate Alliance support, request support of carbon pricing legislation, thank for his support of an independent investigation and ask that he do more to garner support for this among his Republican colleagues. Dr. Daniel Pomeroy will be speaking about how Congress works and answer our questions about how to best influence our Members of Congress (MoCs). Dan is the manager of MIT’s International Policy Lab, and was a Science and Technology Policy fellow in Senator Ed Markey’s office. On Friday, June 9th, the Safe Communities Act will have its hearing at the State House from 10am to 3pm. Please attend the hearing, the rally outside the state house, or submit written testimony. Not familiar with the Safe Communities Act? The Safe Communities Act would protect the civil rights of all state residents by making sure our tax dollars are not used to help the current Administration deport immigrant families or create a Muslim registry. Why is this important? Because our communities are actually safer if immigrants feel free to report crimes. See this link for a sample letter to send to your state senator. Supporters of carbon pricing in Massachusetts will be lobbying state representatives on Beacon Hill. You can sign up to participate here. For more information on carbon pricing and how you can get involved, see the MI climate team's web page. Temple Isaiah, 55 Lincoln St., Lexington. 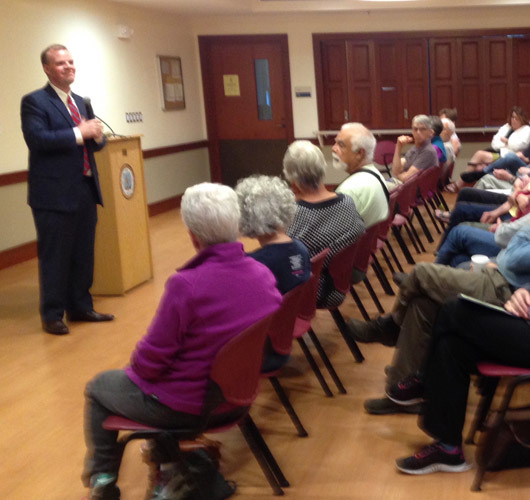 State Rep Jay Kaufman is hosting the last of his four part public workshop "Democracy Demands Engagement" Thursday, June 15th. In this last session entitled “What Now? Stand Up, Stand Tall, Stand Together.” participants will discuss how to effectively engage in process of re-building a strong democracy. MI will be presenting as well as other local civic and action groups about their purpose and role in this process. Join Jay and other members of our community as we engage in these very important discussions. For more information on the series, see Rep. Kaufman's website. 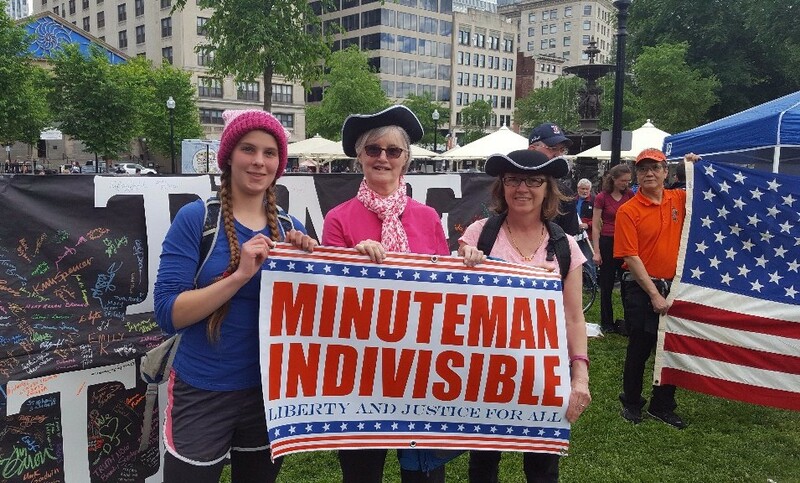 Minuteman Indivisible is holding more public events and would like to create videos so that people who are unable to attend will still be able to see what happened. LexMedia, our local cable TV provides free training on using their equipment for volunteers who are interested in videoing community events. If you would be willing to video our events and either have already had LexMedia Training or would like to take advantage of it, please email us at info@minutemanindivisible.org. Submit any news, events or action items you would like to highlight using this submission form. Items should be no longer than 100 words, and are subject to editing. You may include links to pages with more details. We the people of Minuteman Indivisible unite to uphold the rights and dignity of all people. Our mission is to exercise and defend our Constitutional rights and democratic institutions. Our principles are informed by our humanitarian values and respect for well-established scientific knowledge and governance expertise.